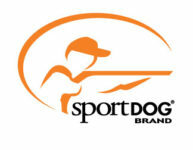 Become a “Huntervationist” with Sportsmen’s Alliance and Win Big! To promote the role hunters, anglers and trappers play in conservation, and the need to protect those passions, the Sportsmen’s Alliance has launched their “Huntervationist” campaign with the support of industry-leading companies that have backed the movement. From Aug. 20 through Oct. 11, all new members and current members who renew or upgrade their membership will receive entries into the Huntervationist promotion, which includes great prizes from Mathews, ALPS OutdoorZ, onX Hunt, Vortex Optics, Benelli and Girls with Guns. Special member benefits apply, including Huntervationist-specific gear. For every $10 spent on a new, renewed or upgraded membership, the member will earn one entry into the promotion (up to 25 entries). To enter, just visit the Huntervationist campaign page and select the level of desired membership. For every $10, an automatic entry will be created and entered into all subsequent drawings until Oct. 11.